Brussels March 22, 2018.- On March 20, 2018, the European One of Us Federation has celebrated the Ordinary General Assembly in the European Parliament, in Brussels and has participated in the Week for Life Session. Once again, representatives of the civil organizations from the One of Us Federation have gathered at the headquarters of the sovereignty of European citizens. In this same Parliament, the European Citizens’ Initiative (ECI) One od Us presented 2 million signatures demanding the European institutions the protection of the human embryo from its conceptio. Participants from 20 countries, including Germany, Belgium, Bulgaria, Holland, Italy, Spain, Slovakia, Portugal, Poland, France, Luxembourg and other EU countries took the floor during this act demanding precisely this protection of life and denouncing the current threats against it as well as the need for greater attention to women in their motherhood and to the elderly and people in the final stage of life. In this same act the project of the One of Us Cultural Platform was presented. The Cultural Platform aims to give voice to the thinkers and intellectuals of the European countries who defend the values ​​that inspired the founding fathers of the European Union. Their intellectual activities and productions affirm the values ​​that constitute the essence of the European Federation One of Us. 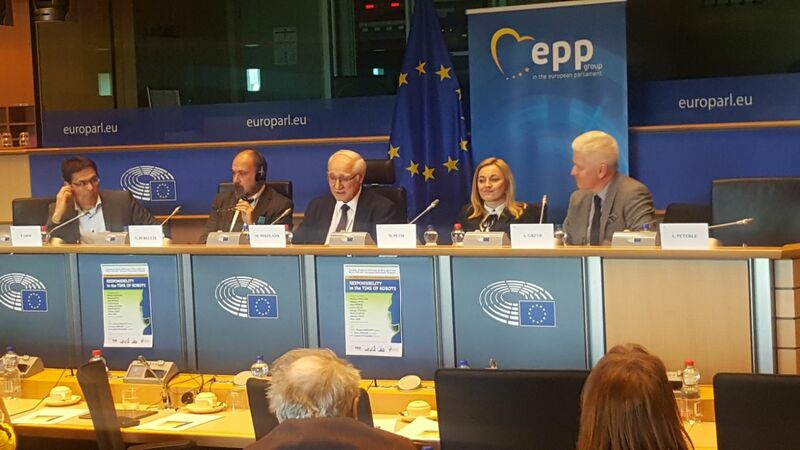 Following the General Assembly, the members of the different national organizations participated in the session of the Week for Life that each year celebrates the Group of Bioethics of the EPP Group and in which One of Us participates actively. The session of the Week for Life raised the perspectives that should be taken into account in the ethical application of new technologies. The debate centered around the possible representation of robots as juridical persons, the contemplation of a Universal Code of Conduct for them and the adaptation of artificial intelligence in the human body. As conclusions of this session, the speakers denounced “The deployment of scientific and technical advances in areas such as genetic engineering and biotechnology has broadened the scope of our goals. But it has also increased the magnitude of side effects that could even displace human nature to irrelevance. ” In this same sense it was concluded that “in the current scenario of technology, which allows the humanization of the artificial, it is convenient to claim that anthropological reflection and ethics inform praxis, and that praxis does not determine a new anthropology and new ethics The sciences can not be required to impose ethical limitations on themselves or to ask themselves about the meaning of human life. What man is, and what he is allowed to do, is not the result of a reflection of a scientific nature, but a matter of ethical and anthropological order. Social Freezing. Has it medical and ethical difficulties?